I seriously cannot believe it has been FIVE months since baby Ralphie joined our family. He is such a dreamboat of a baby- an absolute joy to be around. 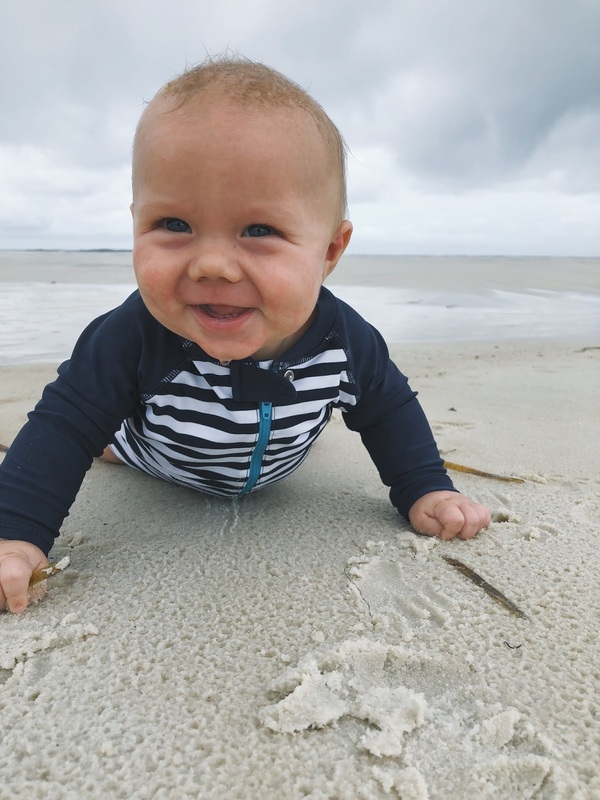 I thought I'd share some of the items that have been on heavy rotation these first months of his life. 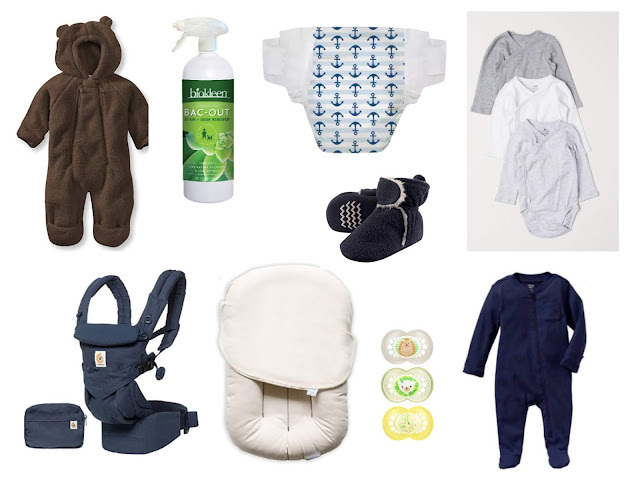 Like I've said in the past, I don't think there are a lot of baby items that you HAVE to have, but these are some good ones I recommend if you're on the hunt! 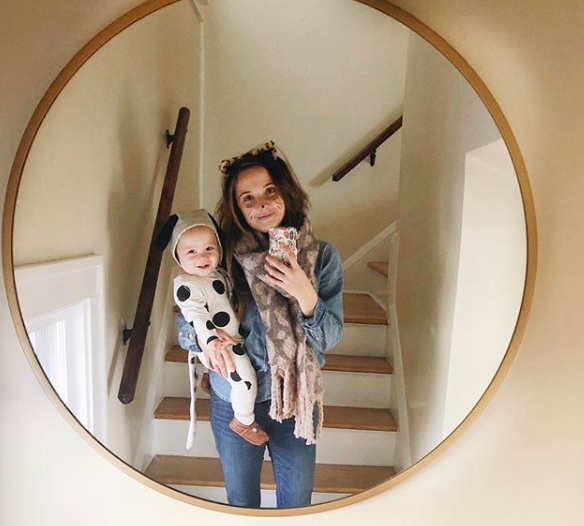 These are my favorite sleepers- they zip up, they're super inexpensive, and they last! We used them with Ophelia too. These are THE BEST onesies- we love the kimono style snapping, espeically for little newborns. Bear suit- A must for a winter baby. Same with these booties! I just ordered the next size up for this fall. Carrier- I talked more about my favorite carriers in this post, but I use this guy every single day. Snuggle Me Organic- This has been so amazing for just having a place to set baby down! We co sleep, and this is such a cozy place for babe to rest when they're used to being snuggled. This is our double stroller, and I'd highly recommend it! We used Honest Co diapers and wipes, and they've worked wonderfully for us. I tried to cloth diaper for Ralph, but sadly, it wasn't for me. This stain remover is AMAZING and is weirdly an item used so much it makes the list! These are the pacis the Little Prince has taken too- Ophelia liked these, and they were so much harder to find locally so I'm glad Ralph has a little more mainstream taste!